Getting the right gun for upland game hunting can be the difference between successful hunts and coming home without anything in your game bag. 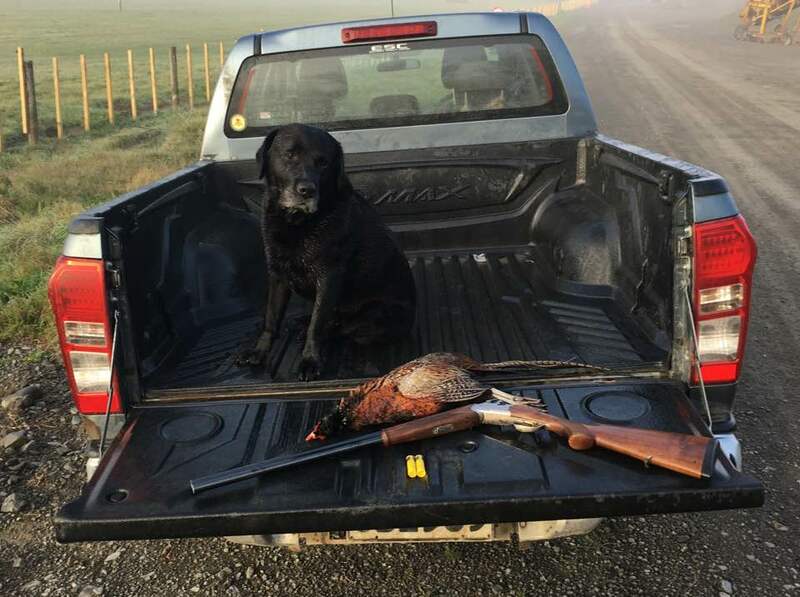 There is a school of thought that lighter guns are better for upland hunting as they are easier to carry in the field and faster swinging so better for fast birds. I bought into this theory some years back, and bought a very light Fabarm Lion. I wanted a light semiautomatic for quail shooting, and especially covey flush shooting. The Fabarm was the lightest left hander I could get at the time. I basically could not hit anything with it, and the next season replaced it with a much heavier Remington 1100. The Remington is a big heavy gun that suits my shooting style perfectly. It is so good that I can make shots without having good footing, and I can shoot off balance and still expect to bring birds down. I am six foot two and two hundred and ten pounds. I started shooting really, really well, which was more to do with the gun than my shooting ability. Over the years I have read a number of good articles on light v heavy guns for upland, mainly in Field and Stream. In their gun tests they almost always shoot faster and ALWAYS more accurately with a heavier gun. Remington 1100 G3 Left Hand Eject, a gun I shoot so well with I bought a second one. Heavier guns swing better because once they start swinging they are hard to stop. Start swinging them and inertia will keep the swing going, meaning you will swing through the bird. A lighter gun is easier to stop the swing, and stopping the swing is a sure way of missing birds. Longer barrels help with the swing, as it is harder to stop them. The extra barrel length makes the gun heavier, and helps with swinging through the bird. Having spent many, many hours hunting over a good number of seasons I discovered that I hated missing far more than I disliked carrying a heavy gun around in the field. My recommendation for anyone looking for a semi automatic for upland hunting is to go with the gun that they shoot best, which will usually mean the heaviest gun they can shoot well with. Remington’s 1100 is a beautiful guns that shoot exceptionally well. They are old technology, and the Versa Max and V3 are far more modern guns that require less maintenance. They are both lighter than the 1100, and neither feels as comfortable in my hands as the 1100, but may suit smaller hunters better than the big heavy 1100 that comes in at about 8 ¼ lb. Beretta make some very nice semi automatics, and in New Zealand often are the only brand that offers longer barrels in their semis. While they are lighter than the Remington the 30 inch barrel Beretta feels exceptionally good. I am not fond of the shorter barrelled Beretta’s as they are too light, and Benelli’s are too light in 12 gauge, but provide the only semi automatic 20g with left hand eject. Beretta 686 Silver Pigeon S 20g, a much lighter gun but a gun that is well balanced and shoots beautifully. My heavy Remington’s shoot so well for me that I no longer use them for upland much. They just kill everything, and that is not good especially when hunting small quail coveys. I have two 20 gauges, a beautiful Beretta 686 Silver Pigeon S which shoots really well. I also have a left hand eject Benelli M2 which is adequate without being a favourite. Simon Lusk is a committed upland hunter who has hunted every day of the last four upland seasons. He hunts over Labs, mainly Mabo, Bruce and Dave. Is it a problem to canting your shotgun when shooting?